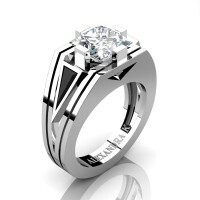 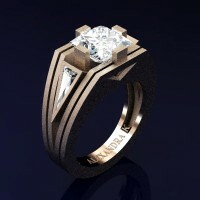 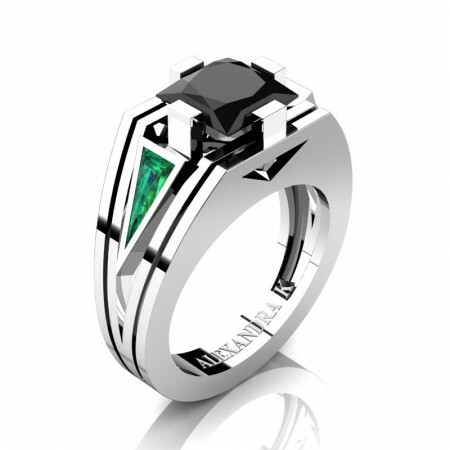 Formal, luxurious and rich, this men’s 950 platinum ring centers a 4.0 carat 8 x 8 mm princess cut lab created zirconium black diamond flanked by two 0.4 carat 3 x 8 mm triangle cut emeralds. 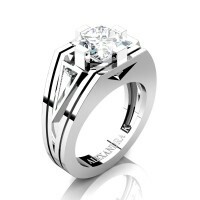 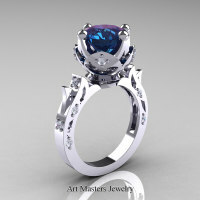 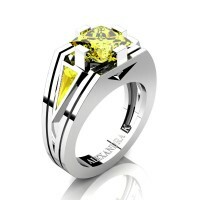 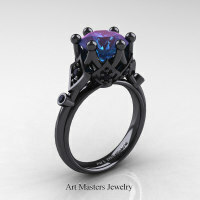 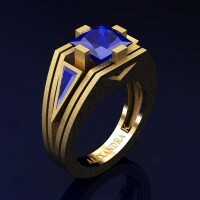 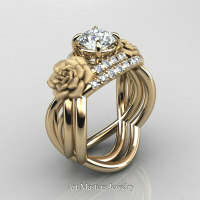 Ring comes in a deluxe jewelry box officially stamped PLAT weighting approx 12 grams. All sizes are available. 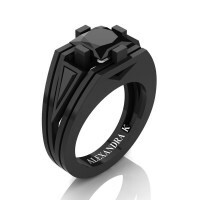 This men’s platinum ring by Alexandra Jewelry Co presents sophisticated modern design showcasing classy character and statement of true style. 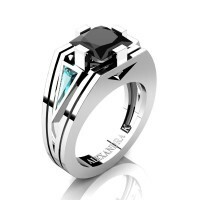 Be the first to review “Mens Modern 950 Platinum 4.0 Ct Princess Black Diamond Triangle Emerald Wedding Ring A1006M-PLATEMBD” Click here to cancel reply.